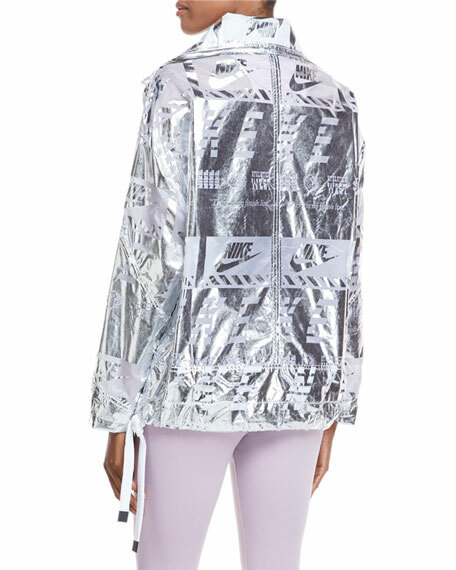 Nike jacket in metallic ripstop with allover graphic print. Drawstring hem; ties at sides. 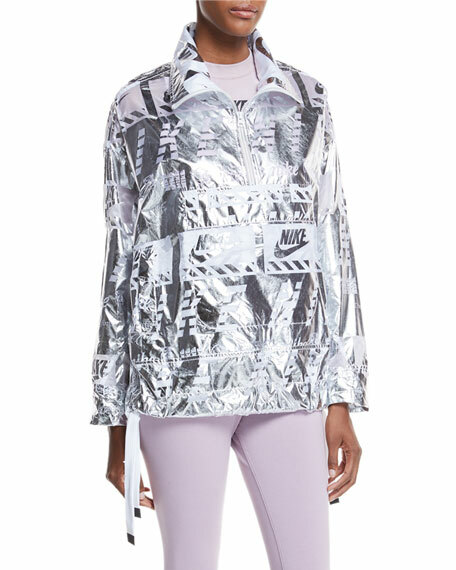 For in-store inquiries, use sku #2523225.